Meet Our Harlan’s Hawk /Hawks Aloft Inc.
Our new Harlan’s Hawk (Buteo jamaicensis harlani) arrived yesterday afternoon and was safely ensconced in his new Porter Palace before dinnertime. 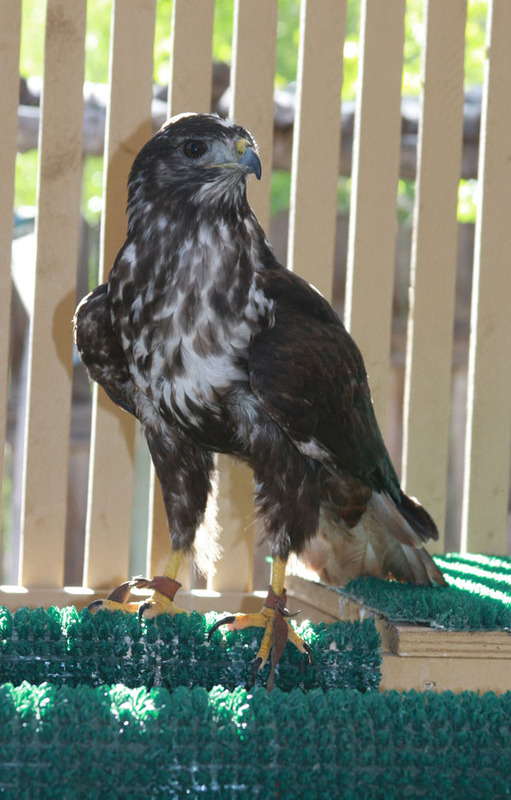 Chellye has been a volunteer with Hawks Aloft for about 8 years now and has trained and housed our female red-tail, Aguililla. For now, Harlan lives alone in the big flight so he can get settled in and so Chellye can work with him one on one. Then, we plan to reintroduce Lilla to the mews. By the time we left last night, he was exploring every corner of his cage. The biggest thrill came when he discovered he could fly the length of the cage from the low perch to the high perch. Back and forth he went, never missing a wingbeat. The view from his new home is rural farmland with chickens and horses. There is even a kestrel pair setting up in the cottonwood tree about 80 feet away. We are beyond thrilled to add him to our cadre of educational ambassadors. Also new to the Porter family menagerie, and arriving on the same day, were four kittens. 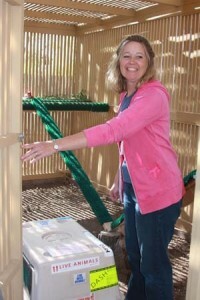 The pregnant female that they had rescued just a couple of weeks ago gave birth under daughter, Lindsey’s, bed. Never a dull moment in the Porter house. Many thanks to Laurin and Louise at the Cascades Raptor Center for thinking of us first when deciding to place him and for assisting us through the maze of paperwork. We also extend a huge thank you to the Porters!! !